After struggling to stick to my training plan this week and having a rough time with what should have been an easy run on Friday, I need to realize that while my legs and heart want me to be further in my fitness-the reality is…I’m not. I need to adjust my plan while keeping my goals! No matter where you are in your fitness making adjustments is sometimes necessary. It doesn’t mean we’ve failed or that we should give up. Sometimes we simply need to adjust out timelines. Other times we need to add elements that are missing. Or it might be we haven’t put the necessary time or effort into meeting our goal. Instead of getting upset or frustrated remember why YOU made the goal in the first place and adjust. 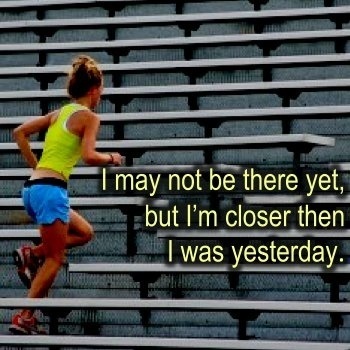 I’m not giving up on my goals, rather just modifying how I will get there. What will you do when you have a setback?